KATHMANDU, Jan 26: Senior orthopedic surgeon Dr Govinda KC has said that Prime Minister KP Sharma Oli should step down from his post on moral grounds for not implementing the agreement signed at Oli's own initiative. Dr KC said that passage of the bill was a deception against 30 million people who are bereft of affordable and easily accessible health services and medical education. “It has been proved that the government has brought in the new law to pave the way for certain medical colleges owned by individuals affiliated with the ruling party,” he said. Even though the National Medical Education Bill has been approved by parliament, Dr KC will not end his fast-unto-death until his demands are addressed. 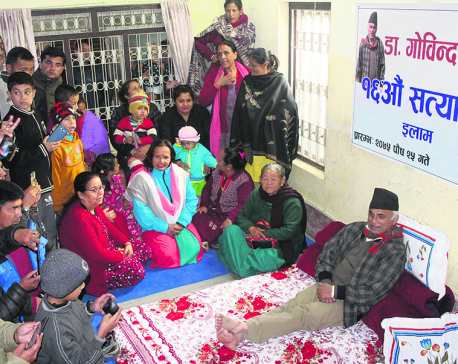 Urging fulfillment of his six-point demand, Dr KC also called on the government to release those who were arrested during protests in support of his hunger strike.Dr KC, who has already staged hunger strikes for over 210 days since 2012 to press for reforms in the medical sector, began his 16th fast-unto-death from January 9. His 15th and till then longest fast-unto-death had ended on the 27th day on July 26. His major demands that have not been addressed by the newly approved bill include opening government medical colleges in each of the seven provinces and managing health programs at the Council for Technical Education and Vocational Training (CTEVT) under the new act. 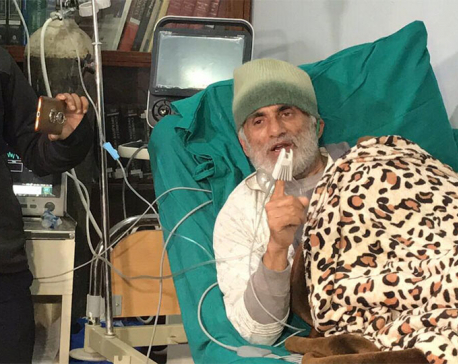 Dr KC has been suffering from severe chest pain, sleep disturbance, muscle cramps and generalized weakness, according to doctors involved in his treatment. His heart rate is on the lower side with frequent irregularities and missed heartbeats although his blood pressure is stable. 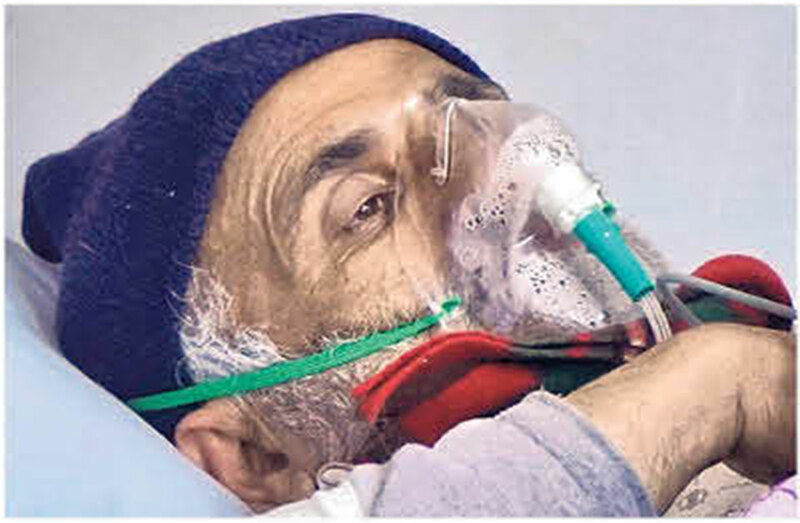 Dr KC's oxygen saturation is too low for room air and is being given supplemental oxygen, according to a medical bulletin issued by Tribhuvan University Teaching Hospital (TUTH). His condition is said to be very serious. 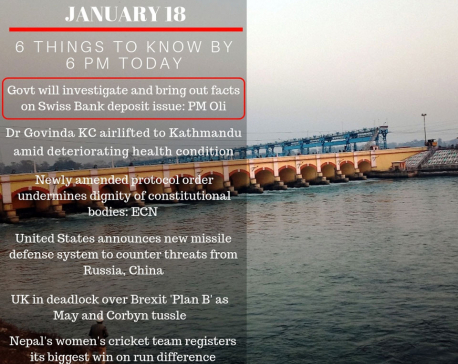 “The glucose, potassium, calcium, magnesium and phosphorus levels are on the lower side,” said Dr Premesh Shrestha, member of a Dr G KC Medical Team. “He has turned down any electrolyte replacements. The urine acetone is positive. His condition is gradually deteriorating,” Dr Shrestha said. Dr Shrestha further said that the medical team is constantly supervising his condition. “He may need emergency medical interventions if undue complications arise,” he added. Meanwhile, Nepal Medical Association (NMA), the professional organization of doctors, has announced it is to intensify its protests from Sunday to save Dr KC's life. Resident doctors, who are already agitating, boycotted Out Patient Department (OPD) services at government medical facilities, including TUTH, Bir Hospital and BP Koirala Hospital, Dharan on Friday. These organizations have said that they would continue their protests.